USBGear has introduced Bluetooth printer adaptor that can help you connect your USB or Parallel port enabled printer wirelessly to your computer. The manufacturer claims working range of around 100m. 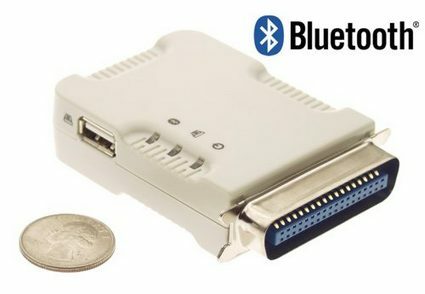 This adaptor works almost with all versions of windows including ancient Windows 98SE, to use this you need to have the latest bluetooth drivers installed in your computer that supports Bluetooth print service. I would love this device as it will reduce my wire clutter in my desktop.